HAGERSTOWN — For nearly a century, workers at the sprawling Statton furniture factory in Hagerstown crafted traditional solid cherry dressers, dining-room tables, chairs and display cabinets for customers across the United States. Today, the renovated 180,000-square-foot facility — under strict security controls and a constantly evolving legal landscape — churns out an array of cannabis products ranging from Kalm Fusion powdered tincture and chewable tablets to LucidMood vape pens and Healer drops. 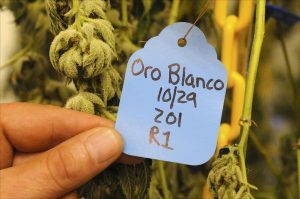 Located across the street from a livestock auction house, the year-old operation ranks among the East Coast’s top suppliers of cannabis for the booming medical marijuana industry. 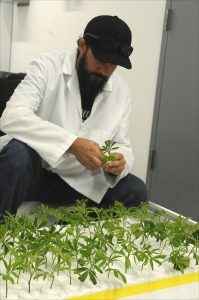 Kind Therapeutics holds a license to produce cannabis in this state under a management deal with Boston-based MariMed. The venture’s various offerings contain both cannabidiol (CBD) and tetrahydrocannabinol (THC), the main psychoactive compound in cannabis. Investors hope expanding U.S. legalization of cannabis for medicinal use will boost sales of its products to treat everything from skin cancer to multiple sclerosis. To date, Maryland, 32 other states and the District of Columbia have declared medical marijuana legal. In D.C. and 10 states — Alaska, California, Colorado, Maine, Massachusetts, Michigan, Nevada, Oregon, Vermont and Washington —recreational use is also now allowed, even though the federal government still considers marijuana in all its forms illegal. Ryan Crandall, MariMed’s chief production officer, clearly is a little of each. 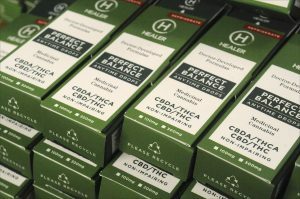 A veteran of the computer software industry, Crandall said it’s crucial that cannabis products be affordable as well as effective. For example, a 100 mg bottle of “Healer” tincture costs $32 and lasts one to two weeks. Another product, Rick Simpson Oil— named after the Canadian cannabis activist who developed it — is notable because it’s a full-plant extract that contains higher levels of THC. In June 2018, the U.S. Food and Drug Administration made history when, for the first time ever, it approved a marijuana-derived therapy for the first time to treat any disease. 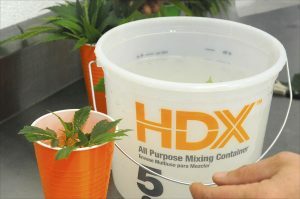 In this case, the cannabidiol was Epidiolex — developed by Britain’s GW Pharmaceuticals — to treat two severe forms of epilepsy known as Dravet and Lennox-Gastaut syndromes. Yet this is an extremely regulated industry. Here in Hagerstown, the premises are under constant surveillance, all plants are accounted for, and all 61 employees had to pass a thorough criminal background check before joining Kind Therapeutics. And because medical marijuana isn’t legal in all 50 states, the company can’t bank with Wells Fargo, Bank of America or any other multistate institution. Instead, it’s turned to Annapolis-based Severn Saving Bank for about 90 percent of its financial needs. About 83,000 patients have registered with the Maryland Medical Cannabis Commission, which entitles them to buy cannabis products at an authorized dispensary. Diehl said it’s been an uphill battle to convince authorities in Anne Arundel County and elsewhere to approve new dispensaries around the state— although the landscape does appear to be changing as medical cannabis gains national acceptance.